Osceola County Animal Services often rescues unsocialized or feral cats for which we have to consider non-traditional adoption placement. Career Cats, or barn cats, are not suited to be indoor pets. They are animals who do not tend to like being around people very much. These cats have no desire to be lap cats; they are working cats; former street cats who are used to an outdoor life. Career cats prefer minimal to no human contact. Their job will be to tend to any small pest or vermin problems. Your cost is a bowl of cat food and water that is refreshed several times daily, along with veterinary care and shelter in a garage, barn or tack room. Our Career Cats are spayed or neutered, vaccinated, microchipped, ear tipped and in need of a new rural outdoor home. These felines like to live in a barn, stable, garage, tack or utility room (as long as it does not get too hot) or warehouse. Of course, we spay or neuter neuter these cats before they leave Animal Services, so,adopters never need to worry about endless litters of kittens! We strongly believe these cats do not deserve to die simply because they can’t go into a typical home environment. We recognize that they deserve shelter, access to food and water. They enjoy the stimulation of “critter hunting” that a barn placement provides. 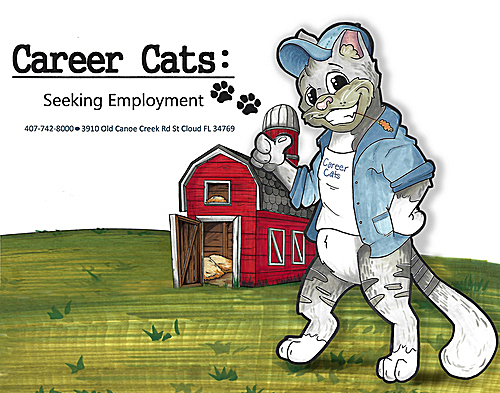 If a Career Cat is something that you need, please complete the form by clicking the Career Cats information request form link at the bottom of the page.